RZSS Edinburgh Zoo will become home to hundreds of magical and mythical creatures this winter as part of its biggest ever event, The Giant Lanterns of China. Following on from last year’s hugely popular animal-themed lanterns, which attracted over 83,000 visitors, this year’s spectacular display will feature unicorns, faeries, kelpies and Nessie the Loch Ness Monster. 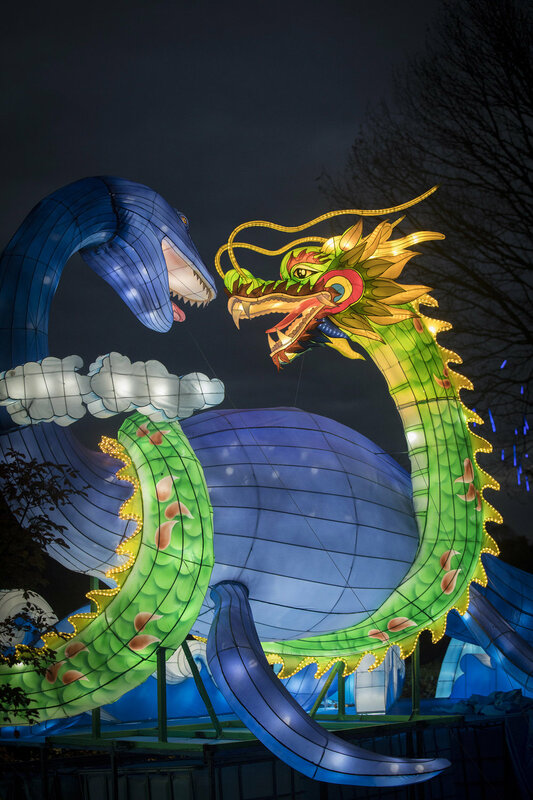 For 50 nights from 16 November 2018, visitors to Scotland’s only Chinese lantern festival will come nose to nose with over 450 gigantic lanterns inspired by mythical and legendary creatures from both Scottish and Chinese folklore. This year’s gigantic, handmade steel and silk sculptures will take visitors on a completely new nocturnal trail around the Zoo. The perfect way to get in the festive spirit, the twinkling lights and beautiful lanterns come to life after dark. The Giant Lanterns of China is inspired by the Scottish tradition of storytelling, the Royal Zoological Society of Scotland’s (RZSS) worldwide animal conservation work and the cultural heritage of Sichuan – where the Zoo’s resident giant pandas were born. Barbara Smith, chief executive at RZSS Edinburgh Zoo, said: “This year’s Giant Lanterns of China event is set to be bigger and even more spectacular than ever. We’re bringing to life a new myths and legends theme in an awe-inspiring nocturnal trail around the Zoo, which features everything from Scotland’s very own Nessie to a colossal phoenix from China. The event was created in partnership with the VYA Creative Lantern Company and DDM Entertainment and Events Inc. More than 50 Chinese craftspeople from Sichuan will spend over 25,000 hours expertly producing the bespoke installations. Tickets for The Giant Lanterns of China are priced from £9.50 for children and £18 for adults and advanced online booking discounts are available.